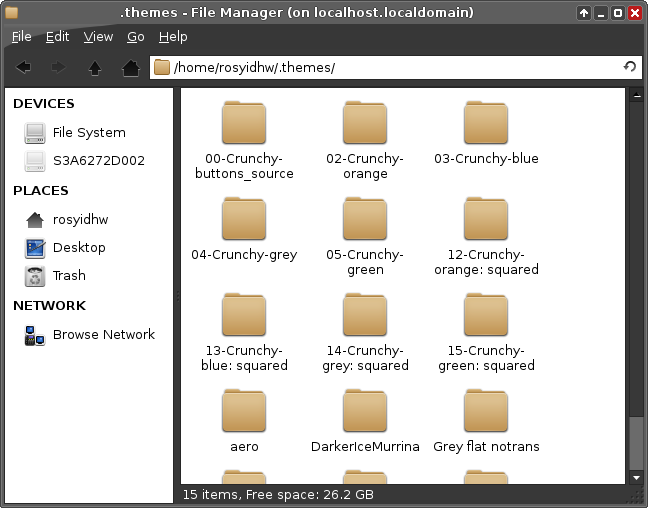 To eyecandy your XFCE desktop, you can get the theme on XFCE-look.org sites, there are lot of theme, icon, etc. Before that, you must create .themes folder on your home desktop first. There are two items, icon & themes,copy any folder inside themes into .themes like this picture. And for the icons, copy folder inside icons to /usr/share/icons, but on this themes the icons is useless, just skip it. Then open Start Menu -> Settings -> Appearance, Now the themes is added. 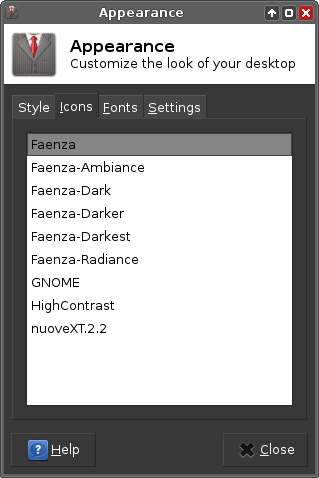 Then open Settings Appearance, then choose Icons Tab, then set your icons. 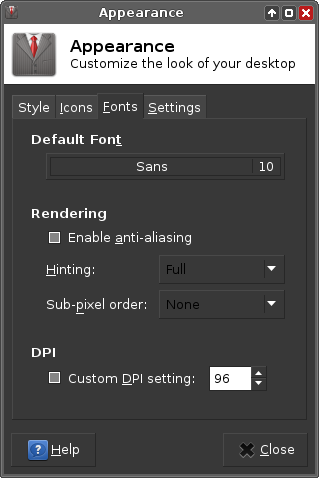 open settings -> appearance ->Fonts Tab, then set your prefered fonts. 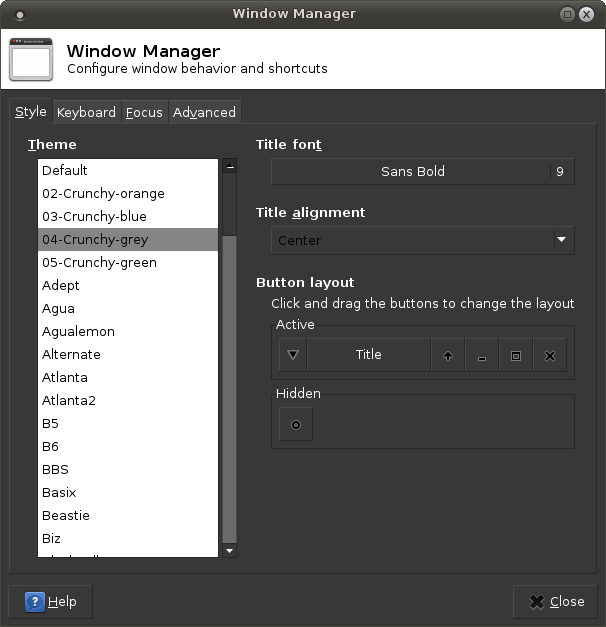 To install new window manager, same as installing themes, copy folder of wm themes, into .themes folder. 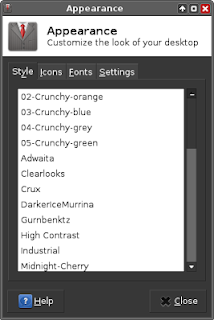 For more cursor themes, search on PacmanXG4. 6. 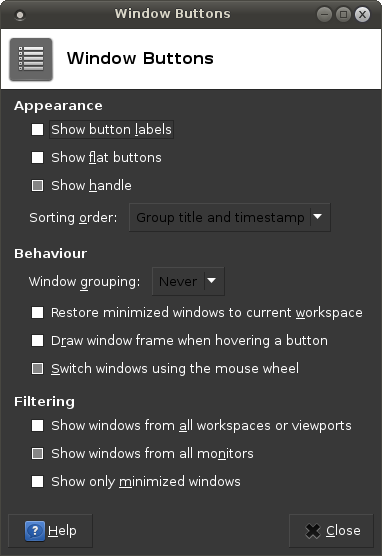 Change Windows list / buttons on Panel looks Win 7 Style. 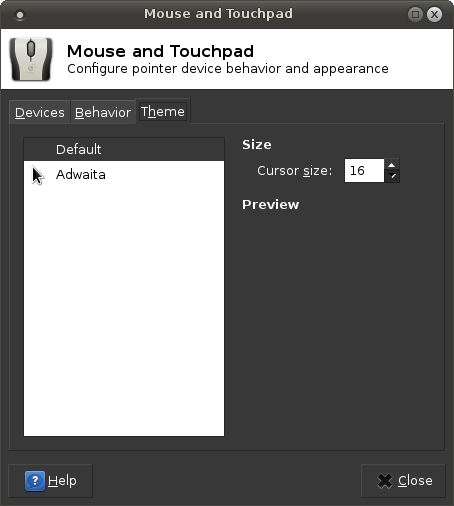 Ok that's about appearance on XFCE.